ALAN Systems has successfully implemented the ATMS Watch system in Midroc Alucrom which is a leader in anticorrosion protective systems of steel elements for industry. ALAN Systems has successfully implemented the ATMS Watch system in Midroc Alucrom which is a leader in anticorrosion protective systems of steel elements for industry. 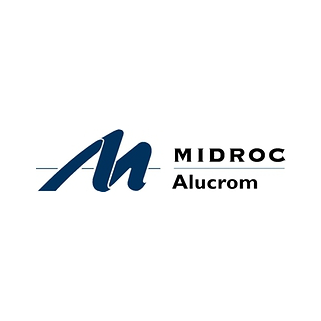 Midroc Alucrom was established in 2003 and it combines the knowledge and experience of specialists both from Poland and Sweden. Alucrom continues developing its production potential and fulfils orders for the local and international market. Alucrom is a member of the Scandinavian and Polish Chamber of Commerce associating representatives of the main sectors of the Scandinavian economy. The company has also decided to use the ATMS Watch valuing its efficiency, reliability and the perfect fit for its individual needs.ATMS Watch installed at the Alucrom factory has enabled monitoring and proper registration of the employees’ working time and transfer of data to CDN Optima. Moreover, it has been integrated with the MES supporting production system and manages the access to the warehouse. We are glad that thanks to our IT solutions the company gained solutions leading to the growth of ergonomics management.